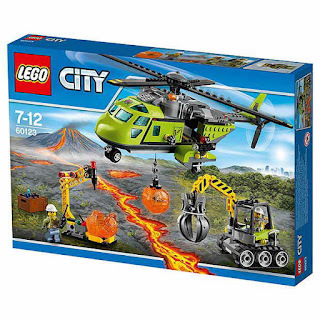 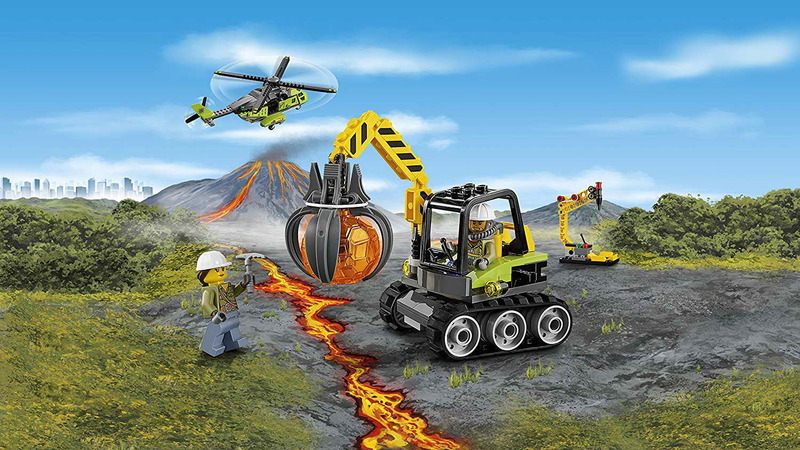 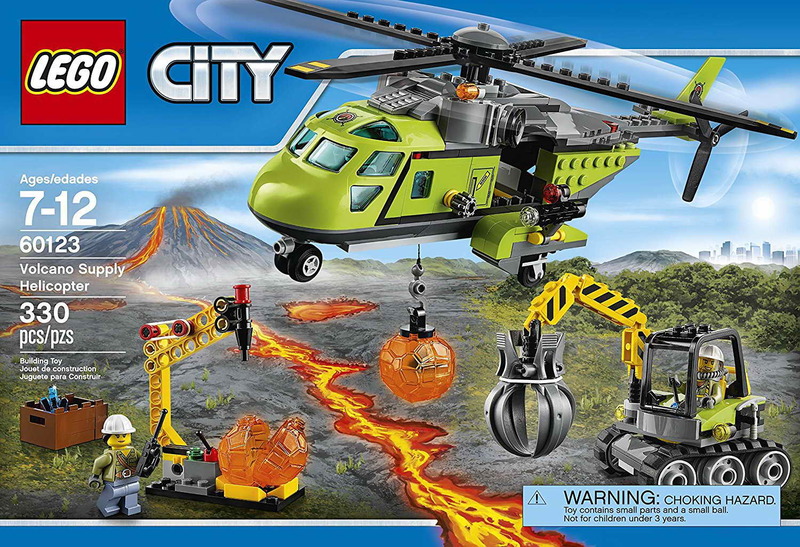 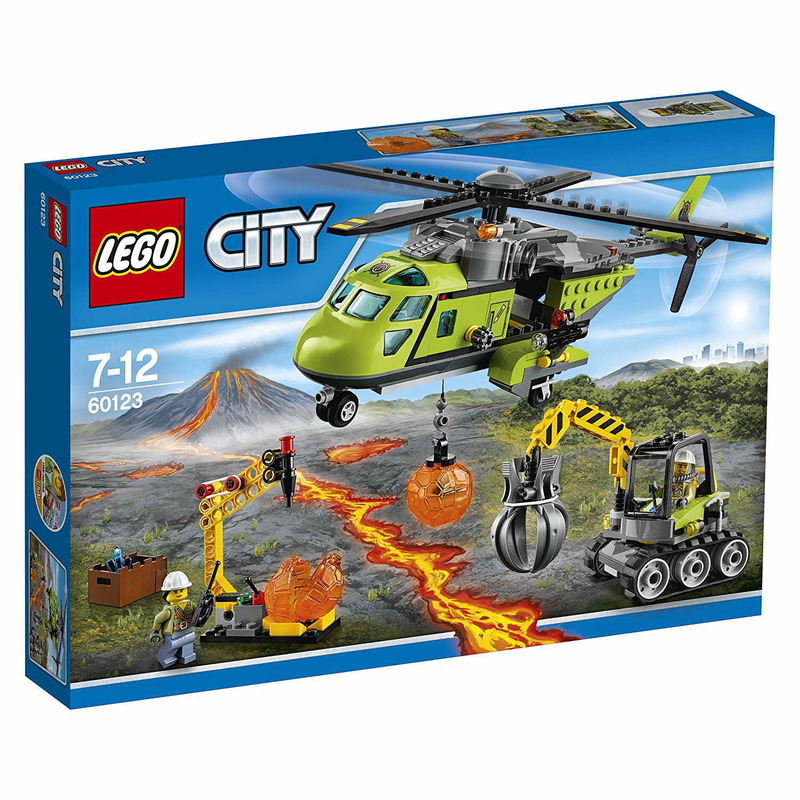 come with a volcano supply helicopter, an excavator and a boulder rack. 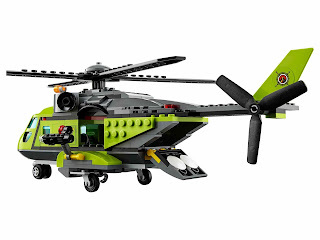 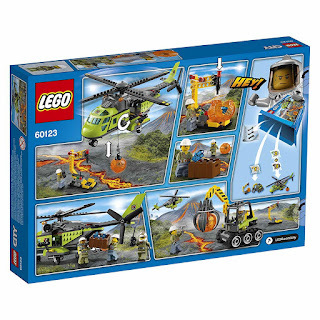 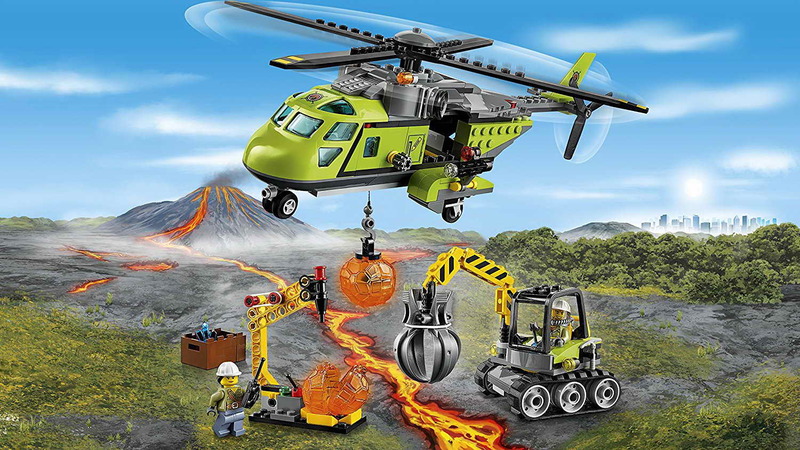 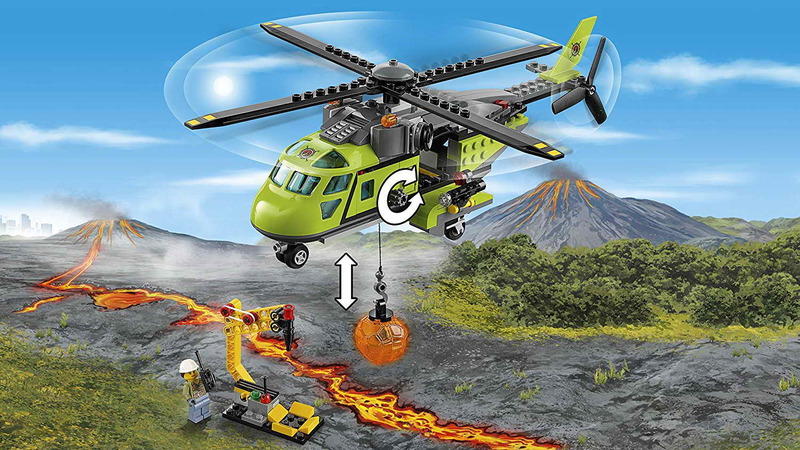 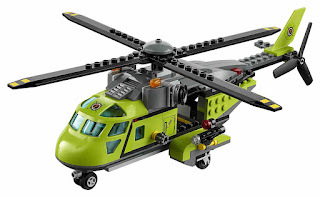 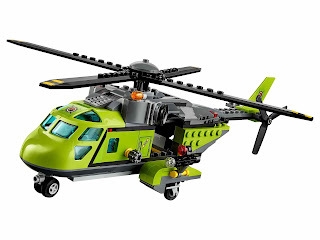 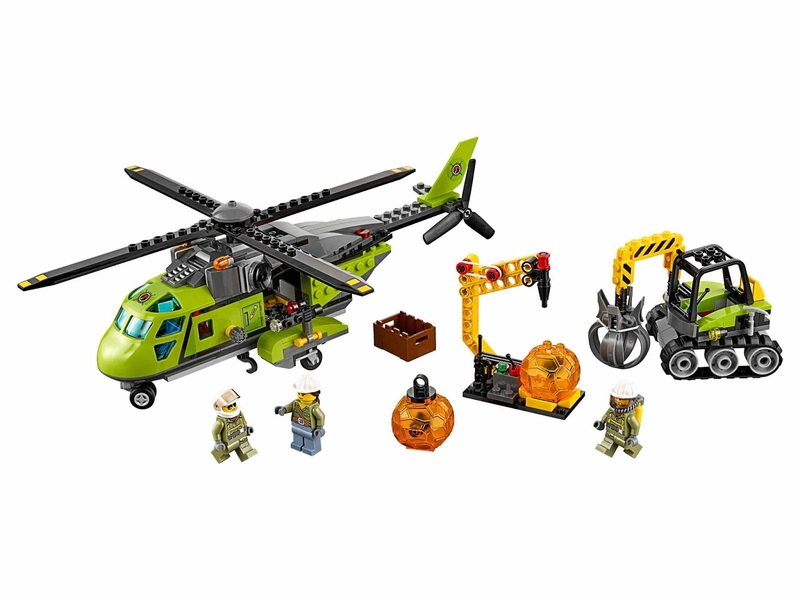 the helicopter has spinnable rotors, an openable rear ramp and a lowerable winch and hook. 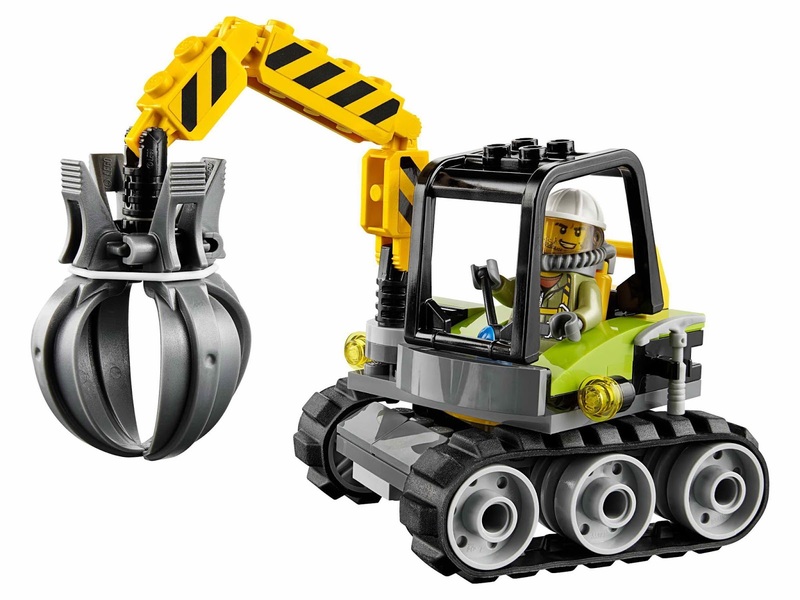 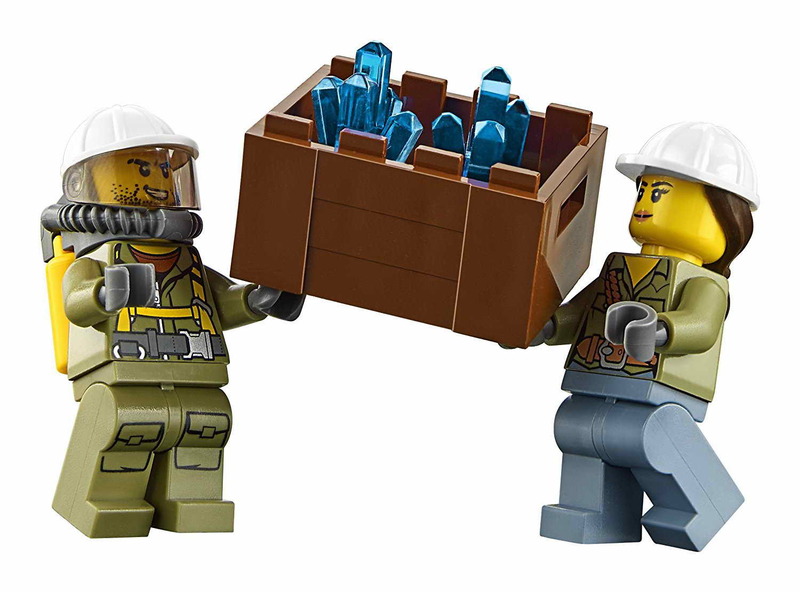 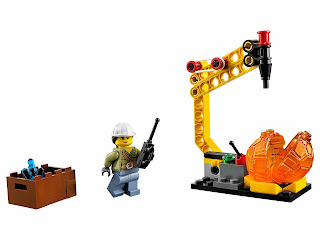 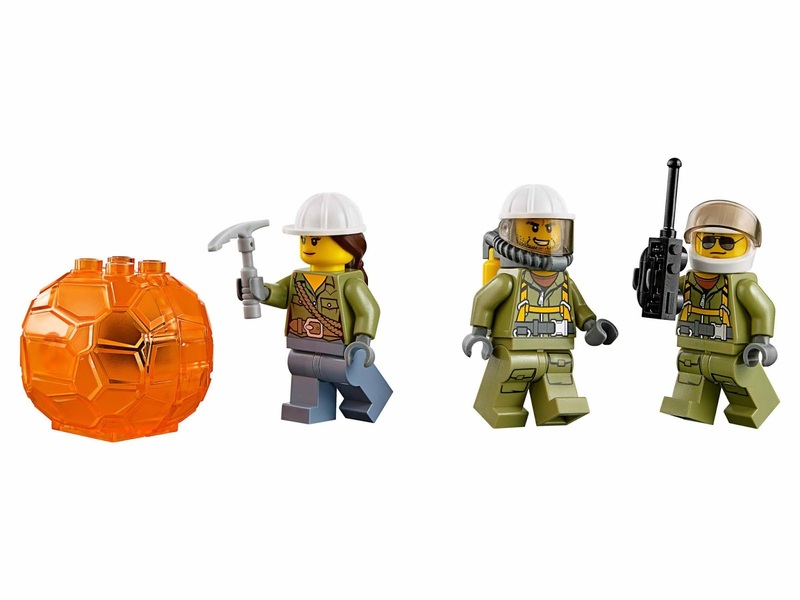 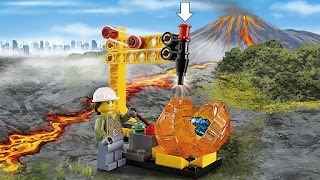 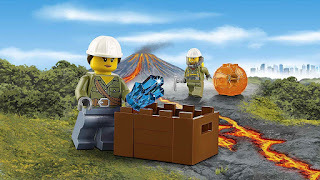 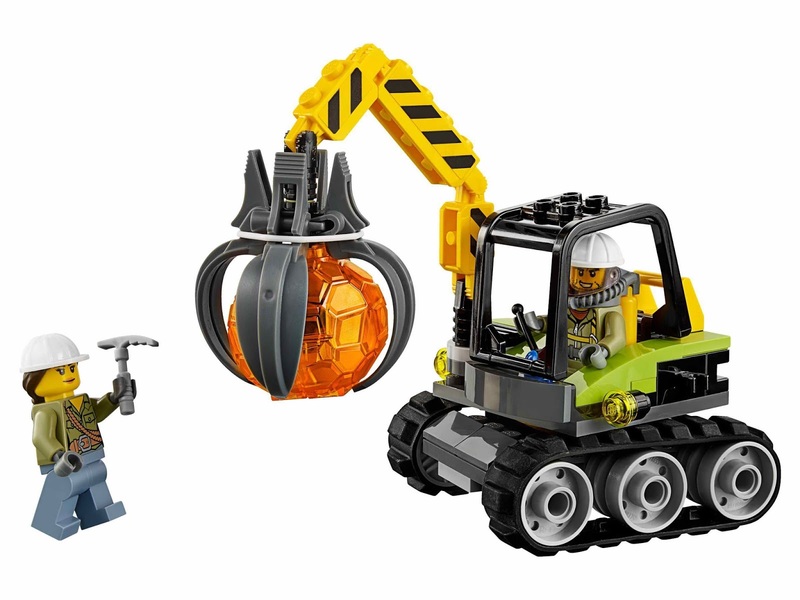 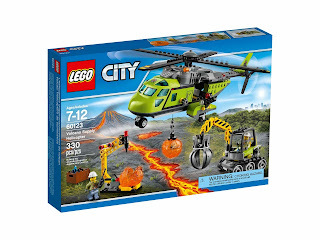 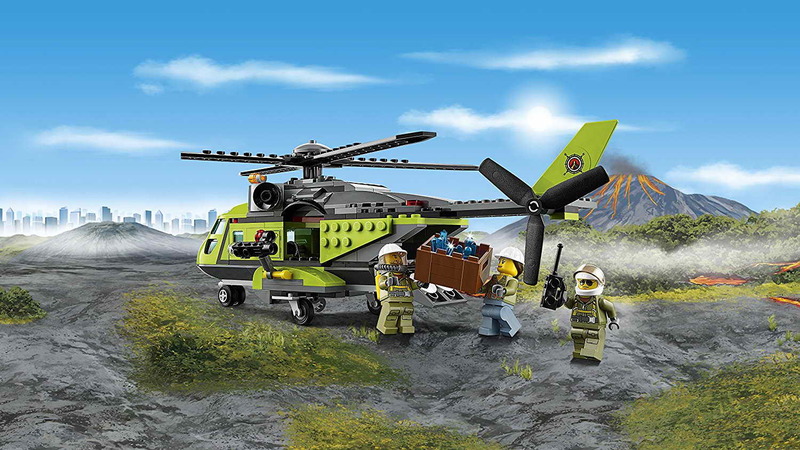 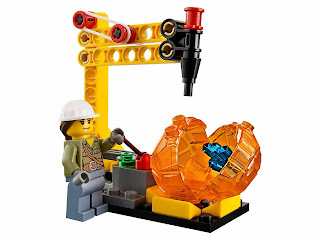 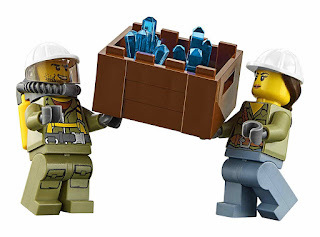 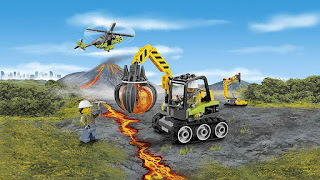 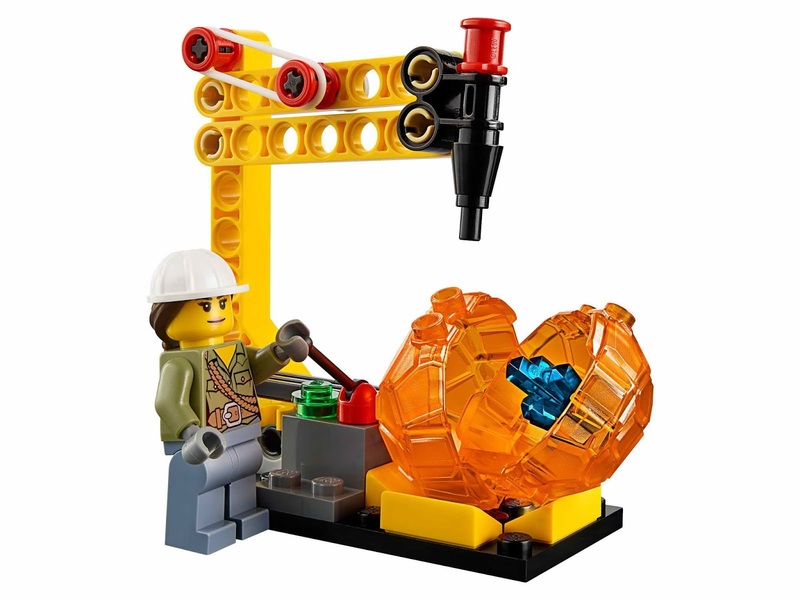 minifigs included a female volcano explorer minifig, male volcano worker minifig and a pilot minifig.